Jason Foley has made a home in the Kerry full-back line already, one of only two players to start every game in 2018. Picture by Seamus Loughran. Paul Geaney has been in superb form, and is allied inside by a fresh James O'Donoghue and starlet David Clifford as Kerry look to go on the offensive. IS the difference between Kerry and the rest of the mere mortals from beyond the pale simply an attitude thing? Theories are always abound as to why they keep producing All-Ireland winning teams. That they play more football than anyone. Their concentration on the basics. The tradition of the green and gold itself. Whatever it is, Kerry seems to get the best out of the footballers it produces. And there’s an obvious culture of giving back to the green and gold, even when it’s slipping away from you. There is no better example than this year. 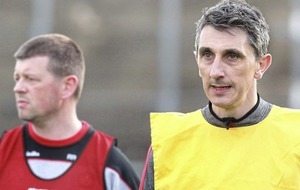 Will Kieran Donaghy see much championship football? Probably not. But he’s there. Darran O’Sullivan, Johnny Buckley, Fionn Fitzgerald, even Anthony Maher now, they’re all the same. And Killian Young and Donnchadh Walsh haven’t kicked a ball with injury yet. And Barry John Keane. There’s a man who must have a serious good attitude. He played their first six league games this year but he must know by this stage that his role in summer will be as a last 15 minute man. And yet he stays at it, and remains effective off the bench. That nucleus has had its day as a unit. There’ll be afternoons when Eamonn Fitzmaurice decides that one or another is the right horse for a certain course, but their All-Ireland was 2014. Any that they win from here on might have those men listed at 22, 23, 24 on the match programme, but it’ll still owe a lot to them. Because any young team has to learn to win, and there are no better men to teach them how. That is part of Kerry’s endless strength. Not since their first in 1903 have they gone through a full decade without lifting Sam Maguire. That 11-year break from ’86 to ’97 was the nearest thing to a famine they’ve tasted. There’s never been a Kerry squad that hasn’t been touched by the knowledge of how to win big games. And that, really, is all this latest crop needs to learn. 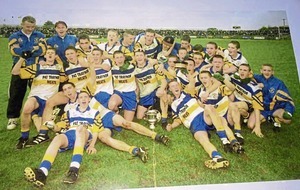 Most of them have done it at minor or under-21 level on their way through, but these are the big boys. Of all that impressed about them in the league, it was how the youngsters showed no fear. Their second half performance against the Dubs was taken as a harsh measuring stick. They’d thrown everything into the first period and they never took a backward step. To maintain that pace and physicality was always going to be tough on a team that was down so many of its more experienced players. You’d be of a mind to suggest they got as much out of the first half as they lost in the second. And it was the same against Mayo, a real dogged, almost Ulster-esque encounter that they came out the right side of. 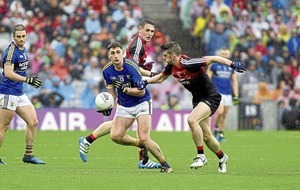 Kerry dominated it, footballing wise and physically. It was a real marker in Castlebar that night. Last year stung them. They took Mayo for a second date but there was a realisation that they were second best both days. The absence of any attacking spark in the replay, playing with a half-forward line so withdrawn that they couldn’t get from back to front, was almost like a watershed moment. There’s a very different look about them this summer. Invigorated by the influx of youth, Fitzmaurice has placed his trust in the kids. Will it reward him with the ultimate prize? Possibly not. He might be gone before they get there. But it’ll reward Kerry football in the long run. Of the team that lost that replay last year, eight are likely to be chained to the bench for most of this campaign. Jason Foley and Brian Ó Beaglaoich have forced their way in, while Tadhg Morley ended up at full-back in the Munster final as Peter Crowley resumed his natural half-back berth, having played at three in the Clare game. With Paul Murphy returned to defence after trying to supplement a threadbare attack last year, there’s a good attacking threat off both wings, with Gavin White impressing on the other side. They went sweeperless against Cork and its perils were obvious in those first ten minutes. One runner was enough to cause disarray and create two goals. The first off a high ball that their potential future opponents – Galway and Damian Comer, Monaghan and Conor McManus, Kildare and Daniel Flynn, even Dublin with Ciaran Kilkenny - will have noted as being troublesome. It is in defence where the uncertainty remains. 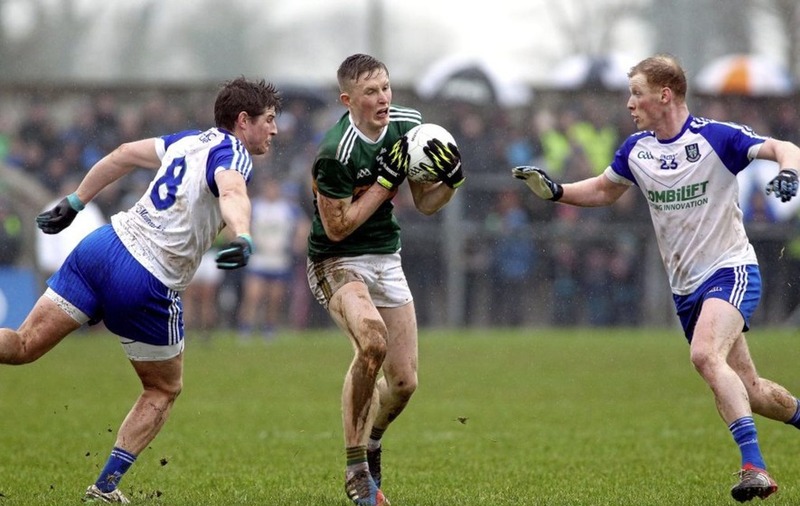 Their forward line picks itself at present, with Michéal Burns and Seán O’Shea having made significant impacts. The latter has been so good he’s come out from the bushel and is sharing the light with the outstanding David Clifford. A full-forward division of Clifford, Paul Geaney and a fresh and firing James O’Donoghue, who stepped straight into their championship team after no league football, will frighten any side. To rack up 0-32 against Clare was a savage display, regardless of the opposition’s flaws. They’ve also given the nod to Shane Murphy. The Dr Crokes goalkeeper impressed with his kicking as they won the All-Ireland club title in 2017, something they’ve been crying out for. Brendan Kealy and Brian Kelly were both criticised on that aspect of their play, especially after the 2016 semi-final loss to the Dubs. We know how good Kerry’s attack is, we know their midfield is sound, but two question marks remain. How will their defence hold up on the big day? And are they yet physically capable of going toe-to-toe in a shootout with Dublin for 70 minutes? Theirs will be a much tougher route to a semi-final than the one that Jim Gavin’s side will face. Galway’s defensive structure will put greater strain on their movement and kick-passing than anything has so far. But they have the quality and the depth to only not cope, but to strengthen through it. The Super 8s introduction couldn’t have come at a better time.